Happy Halloween, everyone! It’s Friday, so I’m participating in my weekly linkup with Clare for Five Things Friday and Heather for Friday Faves! The maple tree in my front yard finally started to change colors this week. Love those red leaves! I’m running a race tomorrow! It’s just an 8 mile distance and I’m not planning on really pushing my pace, but it’s nice to get in my first race after the Fox Valley Marathon. Getting to dress our dogs up in their costumes tonight! The snapdragons I planted last spring have come back with a vengeance. Apparently they’re loving the cooler weather we’ve been having in Chicagoland. Christmas decorations. I know, stores should wait until after Thanksgiving to do Christmas stuff, but it’s my favorite holiday and I’m loving shopping for decorations for Scott and my first Christmas in our own house. 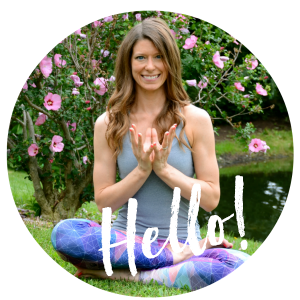 Confessions of a Yoga Teacher – I Don’t Care by Candace – Lovely piece about leaving behind your worries when you walk into a studio and foucsing on the experience you feel while you practice. 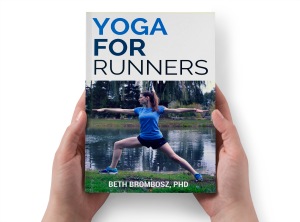 How to Prevent Running Injuries While Increasing Mileage by Jesica – Twelve fantastic tips to follow to make sure that you don’t get injured when doing high mileage training. A must-read if you’re thinking about doing higher mileage training for your next race! 5 Tips for Running in the Rain by Jamie – Jamie lives in Portland, so I trust her as an expert for running in the rain. Her tips are all excellent! Are you a Slave to Striving by Lindsay – Do you feel like you’re always pushing, pushing, pushing toward a goal? Check out this post! 10 Tips for Growing Your Blog by Jenna – Great, easy-to-follow tips for growing your blog and getting more traffic. Happy Halloween to all of you! Stay safe out there! What’s your favorite costume you’ve ever had? Any plans to celebrate the holiday? My halloween costume consists of my PJ’s and likely a cat on my stomach. And pumpkin beer and candy/ice cream. LIVING THE DREAM. I love maple trees. We had one right outside a huge window at my childhood home in Atlanta, and I adored it. Dressing up pets is so fun! My post today was basically an excuse to post pictures of my pets in costumes. Happy halloween! What race are you running? Good luck and stay warm! Brrrr! Hope you had a fun race! That tree is absolutely gorgeous! I know, right? It’s nice to see it peeking out the front window.